Flu or Influenza is a very common respiratory illness, especially during winter months. It is a viral infection that affects the upper respiratory tract which includes nose, throat, and lungs. Flu is a highly contagious disease which spreads rapidly through sneezes, coughs or touching an infected person. Some common symptoms of flu include high temperature, cold shivers, fatigue, and body pains. In most of the cases, flu goes away on its own in few days. But people who are over 65, pregnant, heart problems, weak immune system, and even kids are prone to the risk of severe flu complications. One of the best ways to deal with flu is to treat it as soon as you see initial symptoms. Instead of depending on antiviral medicines every time, it is better to treat it with home remedies. Home remedies for colds like ginger will help you not only deal the flu symptoms but also strengthens your immune system to fight off the virus naturally. Ginger contains antibacterial and antiviral properties which deal with the flu virus. The analgesic and anti-inflammatory properties heal the pain, irritation and discomfort caused by flu. The gingerol and shagol compounds present in ginger stimulate the perspiration and reduce body temperature. Its expectorant properties loosen the mucus from lungs and sinus. It soothes the lung tissues. It produces sweat in the body which flushes out the toxins and prevents infections. The oleoresins prevent the formation of excess mucus formation. During flu, digestion often gets weakened. Consumption of ginger stimulates the appetite and digestion. 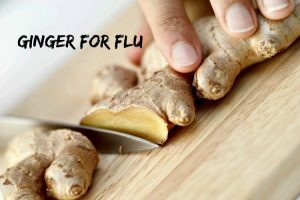 How to Use Ginger for Flu? There are various ways of using ginger for flu. For your convenience, we have listed them below. Choose one among them and try it regularly to get relief from the flu. You can use fresh ginger, dry ginger and ginger powder for making teas or flavoring your dishes. Apart from that, you can also eat ginger lounges, ginger candies and ginger tinctures whenever you are experiencing flu. Take a small piece of fresh ginger. The antibacterial properties of ginger fight off the infection and the soothing nature of honey soothe the throat. Combine 1 teaspoon of ginger juice and 1/2 teaspoon of honey. Stir it well until the two ingredients are completely incorporated. Alternatively, you can chew fresh ginger pieces – honey mixture and swallow it. Ginger tea can be prepared by using fresh ginger, dry ginger or ginger powder. Apart from treating flu, ginger tea boosts immune system and improves blood circulation. Let’s have a look at its preparation. Add 1 1/2 cup of water to a saucepan. Place the saucepan on the stove and bring the water to boil. Add 1-inch fresh ginger/ 1-inch dry ginger /1/2 teaspoon of ginger powder into it. Allow it to steep for 5 – 10 minutes. Strain and consume the tea. For added flavor and benefits, you can add honey and lemon juice into it. Add 1 cup of water into a saucepan. Place it on the stove over medium heat. Allow it to boil for few minutes and then add ground ginger and honey in it. Stir it well and reduce the heat to simmer. Cover the pan and simmer it for another 10 minutes. Now turn off the heat and remove the saucepan from the flame. Now dip 2 – 3 tea bags in it and cover the saucepan. Let it steep for about 5 – 7 minutes and then discard the tea bags. Finally, consume ginger tea by mixing milk in it. Into a saucepan, add 1/2 cup fresh ginger slices, 2 cinnamon sticks and 6 cups of water. Place it on the stove over medium heat for about more than 20 minutes. Now add honey or sugar in to it and stir it well. Strain the tea through a sieve and drink the tea. Repeat regularly to get relief from the respiratory and intestine flu. For added benefit, you can add a rind of orange while preparing the tea. This process helps to provide relief from a runny nose, fever and sore throat caused by influenza. Chop ginger into small pieces after thorough washing. Then pour boiling water in a large bowl and add ginger pieces in it. Drape a towel over your head and bend towards the bowl. But make sure there is a gap of at least 3 – 5 inches between the face and bowl. Inhale the steam coming from the ginger water and exhale. Take steam for 5 minutes and relax. Repeat the process regularly to get relief from flu. Take 1/2 liter water in a saucepan and place it on the stove. Bring it to a boil and add 2 teaspoons of freshly chopped ginger into it. Turn off the heat and pour 2 teaspoons eucalyptus oil into it. Now pour the boiling water in a large pot. Drape the towel over your head and towards the pot. Inhale the steam coming out from the boiling water. Inhale the vapors and exhale completely. Take the steam as long as you can and relax. Repeat the process 2 times daily until you get complete relief from the flu. Note: If you do this process before going to bed, then it would be helpful to get proper sleep without any breathing problems. Ginger has anti-viral, anti – inflammatory, aids in proper digestion and effective for treating respiratory virus. Lemon in this process has antiseptic property and many nutrients like calcium, vitamin C, bioflavonoids, magnesium which help to get relief from it. Take a fresh lemon and slice it into quarters and add them into jar. Now take ginger and grate it. Now add this to the jar containing lemon. Stir it well by adding honey till the jar is full. Let it sit for few minutes without any disturbance. Now take a tablespoon of this mixture and add it to a glass of hot water. Stir it well and drink this to clear cold and flu. Repeat taking the mixture daily until you get complete relief from flu. Take a mug and place 3 ginger slices and 1/2 teaspoon turmeric powder into it. Then add 1 1/2 cup of hot water over it and allow it to steep for 5 – 8 minutes. Now squeeze juice of half lemon into it and add 1 teaspoon of organic honey in the mug. Stir well and consume the ginger – turmeric tonic to get rid of the flu. Repeat the process regularly to get relief from the flu. Pour 1 cup of water in a saucepan and place it on the heat. Add 1/4 teaspoon each of grated ginger, turmeric and cayenne pepper and stir well. Simmer it for about 10 – 12 minutes and strain. Add 1/2 – 1 tablespoon manuka honey and consume it while it is warm enough. Inhale the vapours while drinking the solution for extra relief. Repeat this process regularly to get relief from the flu. Combine 2 teaspoons each of grated ginger root and bayberry bark. Add 1 teaspoon of cayenne powder and mix well. Add 1 teaspoon of this mixture into a cup of hot water. Cover and let it steep for 30 minutes. Repeat the process several times a day to get relief from flu. The ingredients used for the preparation of ginger ale are helpful in treating flu, nausea, vomiting and stomach flu. Peel and grate fresh ginger root. Then take an empty bottle and add 1 cup sugar, juice of 1 lemon, 1 tablespoon ginger root, and yeast into it. You can use a funnel for adding these ingredients. Stir well and close the lid of the bottle tightly. Shake it and place this bottle in a warm place and leave it to steep for few hours. But make sure to check it for every few hours. When you push onto the bottle then it has to squeeze easily or else it has to undergo more of fermentation process. Place this bottle in refrigerator for at least overnight, so that it will slow down the fermentation process and thus keeps these things from exploding. Pour this in to a glass and drink it to get relief. Take a large pot and add 1 tablespoon extra virgin olive oil into it. Place this pan on stove over low – medium heat and add 1 cup chopped onion in it. Let it cook for few minutes till they become translucent. Then add 2 tablespoons of each grated ginger and minced garlic into it and cook it for another few minutes. Now add chopped apples, carrots in it and cook it. Add vegetable broth and stir it well. Allow it to boil and then reduce heat to lower medium and let it simmer for about 20 minutes. Carefully transfer half of soup into a blender and add a pinch of nutmeg into it. Blend it until it makes a smooth mixture and blend the remaining to make a smooth paste. Pour the soup into a bowl, add pepper and salt to taste and have this soup by adding a bit of broth to thin the soup (as per your desire). Tip: It would be tastier if you take this with fresh bread. Regular consumption of this soup will help you to get relief from the flu. Body or joint pains are common during a flu attack. You can rub ginger oil on the aching muscles to get relief. Pregnant and nursing women should avoid taking this ginger. It is better to consult your healthcare provider before taking ginger for flu. Or else it can cause miscarriages and for nursing women, it can be dangerous to both mother and baby. Even for the children who are below 8 – 10 years also, ginger consumption should be avoided in any form. If you’re taking certain medications or drugs like anti – inflammatory drugs, blood thinners, immune suppressants, beta – blockers, etc. then ginger consumption in any form. Consult your doctor before taking ginger for any health problems. If you’re suffering from certain health conditions like gallbladder problems, bowel diseases and diabetes, then it’s always suggested to avoid taking ginger for treating flu. 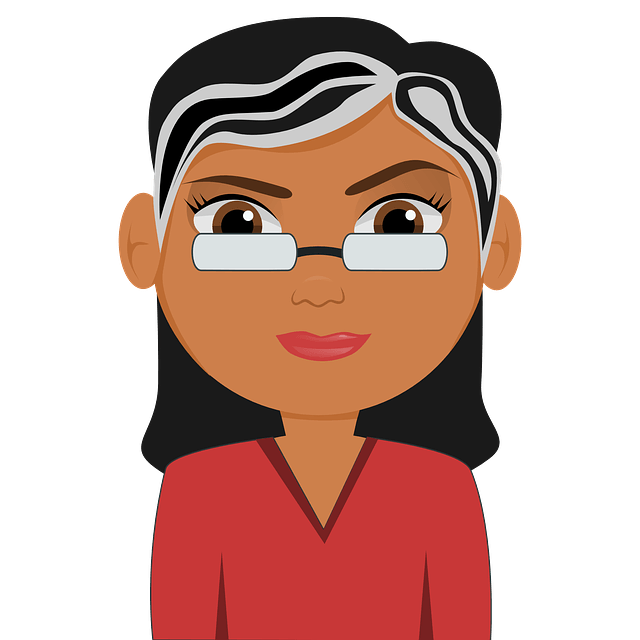 Make sure to consult a healthcare expert, if you’re suffering from inflammatory bowel disease, heart problems or if you are pregnant, etc. to know regarding the dosage to avoid side effects before consuming ginger. Standard dosage of taking this ginger herb is up to 2000 mg (in all divided doses which you take with food). So never consume more than 4 gms of ginger per day that includes ginger snaps and ginger ale, as over dosage will lead to many side effects like heartburn, diarrhoea and mouth irritation. Avoid close contact and sharing things with people affected by flu. It is better to stay at home and take some rest. It helps our body to use maximum energy in healing the problem. Wash your hands with a soap water or alcohol based hand wash. Clean and sanitize the areas that are frequently used like monitors, keyboards and others. Eat a nutritional food to strengthen your immune system. If you are in a high risk category like pregnant, elderly, kids or have respiratory problems like asthma then consult a doctor immediately. Was this article helpful you? Have you tried ginger already for treating flu? Feel free to share your experiences, queries and suggestions in the comments section below.